There are a few places called Nassau that I can think of. These gloves were obviously named after one of these locations. The Capital of the Bahamas seems too warm and tropical for them, given their tri-fleece lining. Nassau County in northern Florida seems a bit inappropriate, too. That leaves Nassau in New York. That seems the most appropriate namesake for the REV'IT! Nassau H2O Gloves. 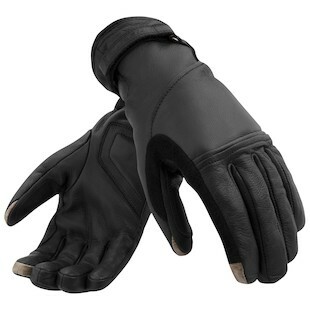 These gloves will shine in a climate with a moderate warm season with variable weather. REV’IT! 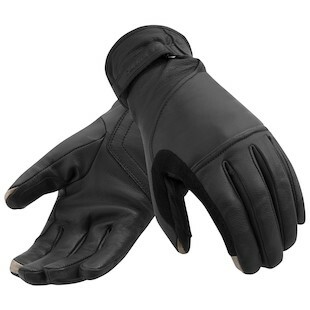 considers these a summer glove with a waterproof membrane. That makes them perfect to ride through an unexpected rainstorm on an otherwise nice day. They make the most sense stowed in a pocket or pannier should you encounter sudden precipitation during a summer ride. The Hydratex membrane will prevent you from getting soggy and the suede visor wiper will keep your vision clear. The REV'IT! Women's Nassau H2O Gloves are also available for female riders looking for the same degree of utility. The shape and cut of the women’s glove will provide a slimmer, more feminine look, while maintaining the same high level of functionality. They look nice too! The classic black leather construction is at home on any bike with any riding style. The touchscreen fingertips are a great feature in case you need to consult your smartphone to find the nearest spot to wait out the storm.